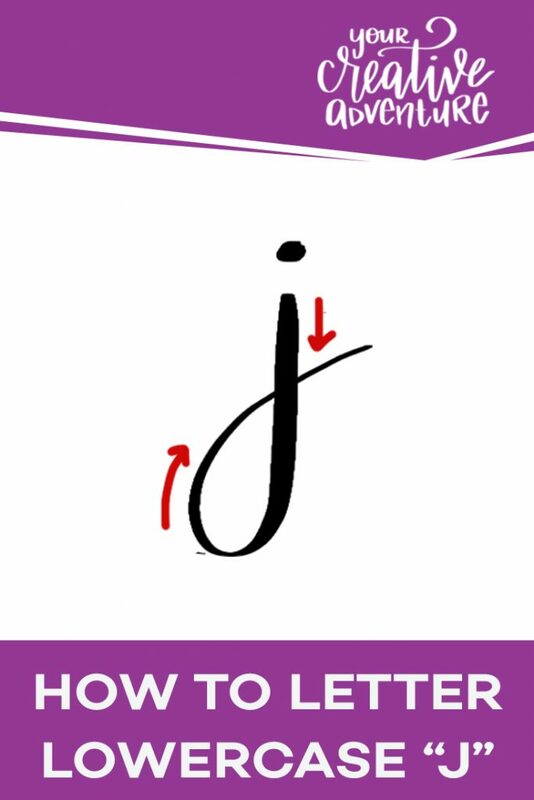 Let’s continue this series with this new video on how to letter the lowercase “j”. 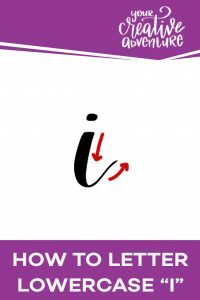 If you have not seen the previous videos, check out my Youtube channel for the video tutorials of lowercase letters A-I. 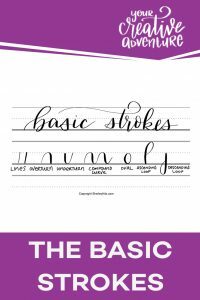 For those of you who do not know, I’m using the lettering practice sheet from my Brush Strokes Workbook. And today, I am using a yellow Tombow Fudnusuke Hard pen in this video. Learning a new skill takes action. If you’re thinking about it, then go for it. You can! You just need a pen and a paper and you can go along with me as we go through each letter and each exercise. It’s so easy to just watch and consume video but not actually do it. But today, I encourage you to grab your pen and paper and letter along with me as we practice lettering the lowercase “j”. Focus on breathing and going slow. 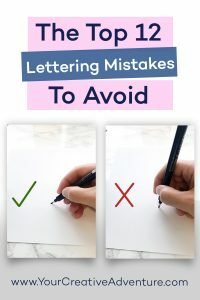 The slower you go, the better you will be able to focus on the transition between the thick and thin strokes of your letter. One of the differences between calligraphy and handwriting is that in calligraphy you pick up your pen between each stroke. Don’t worry about getting it perfect. You will see progress when you practice consistently even if for just a few minutes per day. There’s no right or wrong when using modern calligraphy and brush lettering. You have the freedom to create your own style. We love getting to know our listeners on a deeper level. Join our community of Christian artists in our free private Facebook group. This is where you can share your artwork, get access to bonus training only available in the group, and share your prayer requests. Our team prays for each of your requests because we not only care about helping you make money as an artist, we truly do care about YOU! Click here to join our community. It’s free! Also, we love to hear your takeaways from each episode. It encourages us to know how God is working in your lives. Take a screenshot of this episode or post a picture of your notes on social media and tag us @yourcreativeadventure and use the hashtag #yourcreativeadventurepodcast. This way we can share some of your takeaways in our Instagram stories as well. Thank You, You’re the Best! 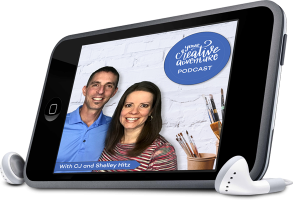 Thank you for listening to this episode of Your Creative Adventure where we believe it is possible to make money as an artist doing what you love while glorifying God through your art. Make sure you don’t miss any future episodes by subscribing on iTunes here. And we have a gift for you! It means the world to us when you take a few moments to post a rating and review on iTunes. As a thank you, we’ll send you our Plan It Day goal – setting worksheets, a $47-value, for free. Woot! Before you submit your review, take a screenshot and send it via email to [email protected] and we’ll send you the worksheets. We believe you have been given unique creative gifts and a specific role to play in the kingdom of heaven that will make an impact for eternity. Join us next time as we partner with God to help you take your creative adventure further than you ever imagined. I'm so glad you're here. I love seeing each of you have the courage to embrace your creativity and choose to create art. I'm passionate about teaching others. In my tutorials and classes, I will take you step-by-step through the learning process and cheer you on in this beautiful journey of creativity and color. 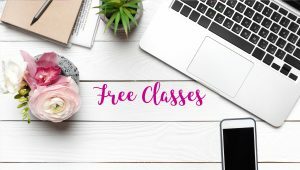 Enter your email address below for access to 3 FREE art classes and our Insiders Facebook Group. 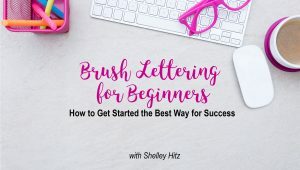 Use this 170-page workbook to learn the art of brush lettering!Click here to get your copy here. 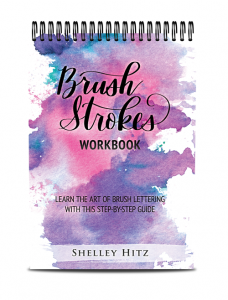 Click Here to Get 3 FREE Art Classes, Download Lettering Practice Sheets and More!